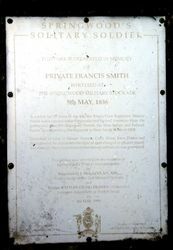 A park commemorates Private Francis Smith. 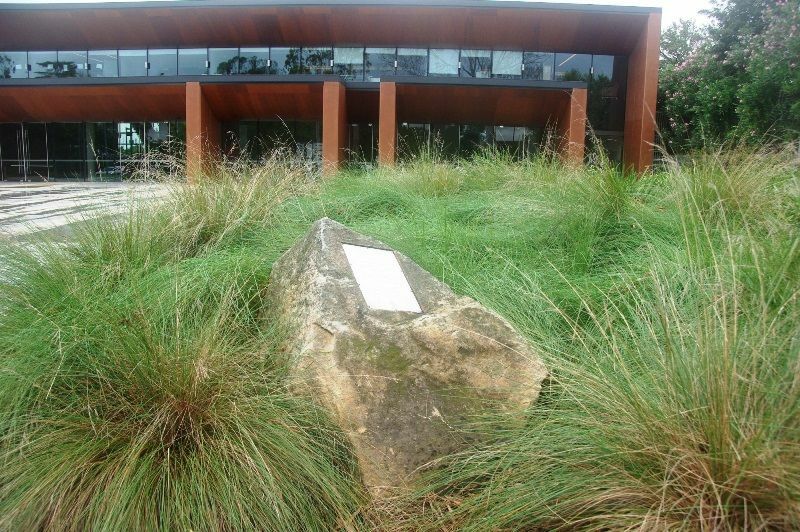 Francis Smith came to Australia in 1832 as a guard in the convict ship ‘Catherine Stewart Forbes’, and was stationed at Sydney, Parramatta, Liverpool, Mount Victoria, Coxs River, Emu Plains and 17 Mile Hollow (Bull’s Camp, Linden) to guard convict road workers and to protect travellers on the Western Road. 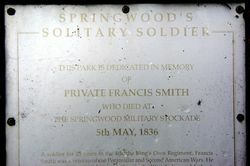 He died at Springwood in 1836. Originally buried at the Springwood Stockade, his headstone was later moved to Springwood Cemetery. A soldier for 25 years in the 4th, King`s Own Regiment, Francis Smith was a veteran of the Peninsular and Second American Wars. He garrisoned post-Revolutionary France, the West Indies and Ireland, before accompanying the regiment to New South Wales in 1832. Detached in turn at Mount Victoria, Cox`s River, Emu Plains and Springwood, he represents the type of men charged to protect travellers through these mountains before lawful settlement was permitted.